Conservatory cleaning has remained one of our most popular services, especially as the spring and summer months approach and longer hours means more time enjoying your garden and conservatory space. Like our homes, our conservatory is often a significant investment and during the winter months it is easy to miss the unslightly damage caused by moss, pollution and daily grime. Our professional cleaning system can restore it back to its former glory quickly and gently by manually removing any loose moss, dirt or grime with a soft brush, soaking areas in our "release and remove" solution before then applying a safe and environmentally friendly ultra foam cleaner which releases and removes dirt finished off with uPVC cleaner. 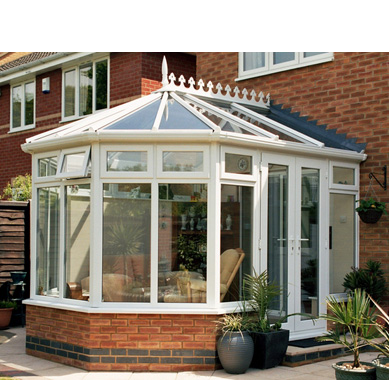 After only a couple of hours our complete system will leave you with a conservatory that is as bright and shiny as the day it was installed.